The ILTM Collection comprises eight luxury travel events taking place across the world, profiling luxury travel brands and experiences to hand-picked luxury travel agents and advisors via bespoke appointment programmes and networking sessions. 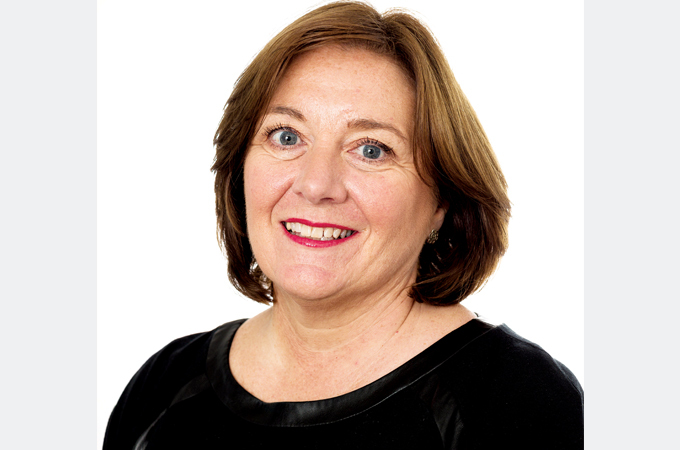 TTN chats with Alison Gilmore, director, The ILTM Collection, for more. Can you tell us a bit more about the ILTM Collection? The ILTM Collection provides the luxury travel industry with platforms to do business and build relationships. Each event invites individual regional travel advisors, agents and planners looking to create private leisure itineraries for their clients. 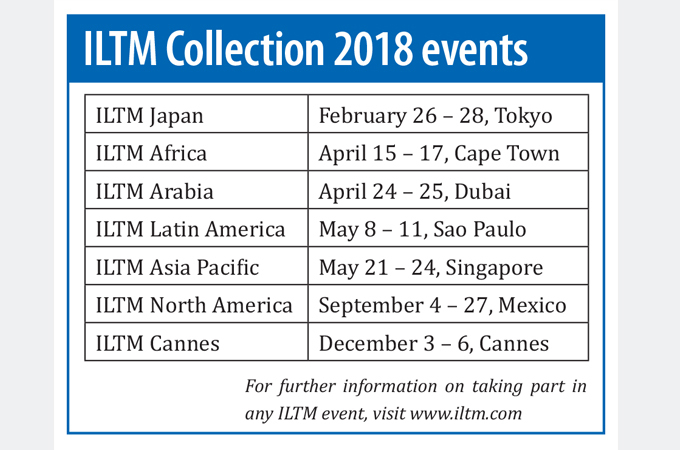 Alongside the global flagship events in Cannes and Asia Pacific, ILTM has four core local events; ILTM North America, ILTM Arabia, ILTM China and ILTM Latin America, as well as two specialist inbound events: ILTM Africa and ILTM Japan. The ILTM brand is also about providing knowledge, not only through experiences on the show floor created by every individual exhibitor, but also through thought leaders who deliver analysis, research, opinions and trends either at the ILTM Opening Forum or through individual reports available to every one of our attendees. Tell us more about your new events – ILTM Asia Pacific and ILTM China? These are two new dynamic events dedicated to their own audiences: ILTM Asia Pacific in Singapore, May 21 to 24, 2018, welcoming luxury travel buyers and agents from 21 countries across the region and ILTM China in Shanghai, October 31 to November 2, 2018, welcoming exclusively Chinese buyers. 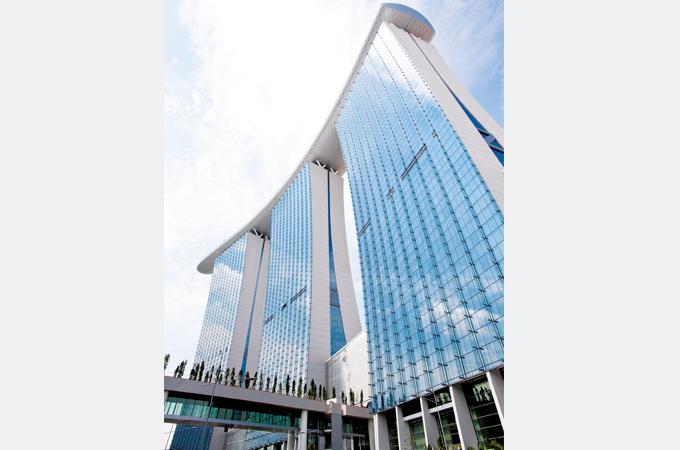 ILTM Asia Pacific in the modern, efficient city of Singapore will be international in look and feel and influenced by a modern city that is famous for its history, beauty, values and traditions – Singapore really can deliver the very best of mixing business with pleasure. ILTM China is key to every luxury travel supplier who wants to remain focused on the continually growing outbound market. Every year we see a big increase in the number of Chinese luxury travel planners wanting to attend ILTM and with this new style of event we can now increase our number of buyers dramatically. And what about the two specialist inbound events: ILTM Japan and ILTM Africa? All of the events within the ILTM Collection are open to global luxury travel brands. But ILTM Japan (February 26 to 28, 2018 in Tokyo) and ILTM Africa (April 15 to 17, 2018 in Cape Town) are platforms for brands from within these specific countries to meet with international buyers and we would love to hear from Japanese or African travel specialists who would like to register interest in attending. At this year’s ILTM in Cannes, what will your buyers from the Mena region find interesting? We know that high net worth travellers from the Middle East and North Africa (Mena) prefer destinations beyond the region. Abu Dhabi is one of the top in the overall travel list, but Paris, Istanbul, London, Barcelona and New York are firm favourites across the region. All of these destinations and indeed a range of luxury properties in cities of culture across the world will be at ILTM in Cannes so there is plenty of choice. Mena travellers are very aware of brands and the GCC in particular shows a distinct preference for luxury hotels and full-service airlines. This year, Emirates joins Etihad as important regional airlines to be taking part in ILTM in Cannes. In addition, luxury travel agents representing high net worth travellers from Mena at any ILTM event will be able to curate truly bespoke itineraries for their clients – ensuring the personal touch that is so important to all their clients. How do you think luxury tourism has changed in the last 10 years? We are now immersed in a world of ‘transformational travel’ – the biggest change in luxury travel since the dawn of the boutique hotel in the 1980s. Travellers are now questioning their own sets of values and looking for travel experiences that deliver simplicity, mindfulness and transformation. Today, it’s not enough for luxury brands to focus on demographics – ‘psychographics’ are what is defining luxury tourism today. In 2017 and beyond, luxury travel brands must be able to adapt to their customers’ personalities and needs in order to win their loyalty, love and ultimately their ongoing business.